One day in January 2016, Melbourne mum Olivia Carr made a spur-of-the-moment decision to fly to LA and drop a package of her silk pillowcases off at the Kris Jenner’s home. While the entrepreneur’s decision was what some friends described as “crazy” – and quite possibly overstepped some legal boundaries – it ended up paying off for the silk product manufacturer, who now counts Kim Kardashian, Kylie Jenner and Gisele Bundchen as among her brand’s biggest fans. It wasn’t the first bold decision the former Pacific Brands general manager has made, and her business now has a multi-million dollar turnover. In 2015 the mum-of-two quit her well-paying job with the idea of starting a business, but had couldn’t think of what kind. Thankfully, inspiration soon struck when she lost her silk pillowcase and couldn’t find a decent replacement. “Nothing really ticked the boxes… as I was thinking that I realised that’s what I needed to do.” Olivia told Mamamia. Olivia Carr in one of her exclusive designs for the Beverly Hills hotel. Image: Supplied. From there, Shhh Silk was born - though not everyone thought her making and selling silk pillowcases was such a brilliant idea. 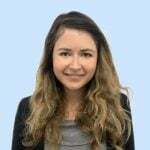 Just a few months into the business, Olivia - in part driven by a self-imposed six-month deadline to make it work - decided she needed to step it up to get her brand noticed. "My daughter and I have spent half our lives watching the show [Keeping Up With The Kardashians], so I knew they had been long-time advocates of silk," the 37-year-old said. "So I started telling everyone, &apos;that&apos;s it, I&apos;m going to get Kim [Kardashian] to sleep on my silk&apos;. And everyone&apos;s like &apos;here she goes&apos;. And I said &apos;no I&apos;m going to make it happen.&apos; "
So with a vague plan on how to achieve her mission, Olivia flew to LA in January 2016, hired a car and drove to Kris Jenner&apos;s house, personalised pillowcase package with a handwritten note in tow. "Then when I did get there and I pulled up to this gate it almost looked like what I imagine the entry to a prison looked like," she said. Kylie shared her custom-made sleep masks on Snapchat. Image: Snapchat. Now nervous, but undeterred Olivia made her way inside the property, telling the guard just a tiny fib - that she had an appointment with the "momager" Kris Jenner. "I realised at that point I probably shouldn&apos;t be here," she said. "It was completely overwhelming... I thought the police were going to turn up at any moment." Just by chance, a US postal delivery truck pulled in at the same time as Olivia and she was able leave her package with the other parcels and hope for the best. Although Olivia later learned Kim loved the pillowcases, it wasn&apos;t until after the 37-year-old&apos;s stylist attended a launch party Olivia threw that things came together. "She went back and was speaking to Kim. Kim&apos;s PR agency got in touch with us and said, &apos;She actually loved you product, but she needs them in King.&apos; I&apos;d delivered them in Queen because that&apos;s all we sold." 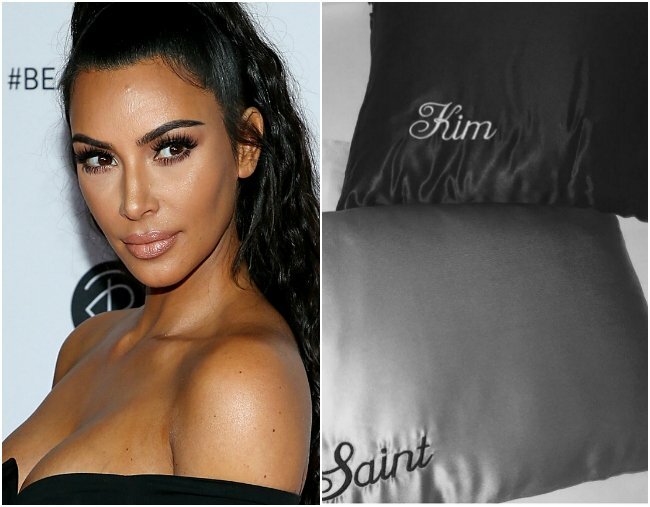 So, on advice from the Kardashian&apos;s reps, Olivia set about creating customised black pillowcases, monogrammed with Kim&apos;s name - and others for the whole family - and sent them. "I remember thinking &apos;oh my god. I&apos;m literally sitting here, packing orders for Kim Kardashian&apos;. I was so proud of what I was doing." In May her pillowcases featured on Kim Kardashian&apos;s app, website and social media - just in time for Olivia&apos;s six-month deadline. The exposure was huge for the small brand, but it was only the beginning of Olivia&apos;s ongoing relationship with the Kardashians, who now count among the brand&apos;s biggest fans. Khloe&apos;s written a thank you note, Kourtney&apos;s kids are often spotted on social media in her silk PJs and Kendall and Kylie Jenner have shared snaps sporting Shhh Silk sleep masks. Other celebrity fans include Gisele Bundchen, who is often spotted at the airport with one of the brand&apos;s signature marble pillows in hand. "It still blows me away that I&apos;m able to have the relationship that I do with the [Kardashians]. I&apos;m in direct contact with their assistant almost weekly." Olivia&apos;s next big move came when, while staying at the iconic Beverly Hills Hotel in January last year, she had an impromptu meeting with the manager in charge of the hotel&apos;s retail store about stocking her products. Knowing the woman would hear pitches from businesses wanting them to stock products every day, Olivia handed the retail manager a pillow and told her to sleep on it - if she didn&apos;t love it, then that would be the end of it. "The next morning at 10am I got an email from her saying, &apos;oh my god. I&apos;m obsessed. We need to meet&apos;." At that meeting, Olivia spoke about her passion for the business and it ended with the hotel ordering a sample collection of pyjama sets - something the brand hadn&apos;t made at that point - in their version of the hotel&apos;s iconic banana leaf print. The hotel now exclusively stocks Shhh Silk&apos;s women&apos;s, kid&apos;s and men&apos;s pyjamas, as well as pillowcases in that design. A fact which, again, Olivia sometimes has to pinch herself over. "We launched in October. It&apos;s been to-date their most successful collaboration." "For me, that really put us on the map." Olivia said she and her team are now working on other collaborations with stores and brands and growing the business.